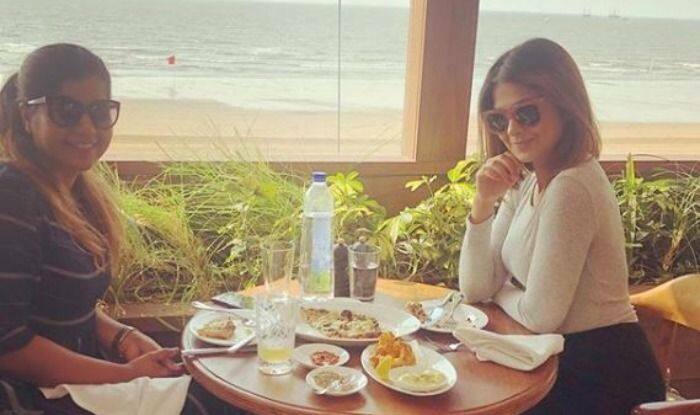 Jennifer Winget, who is very active on social media, recently shared a picture of herself along with a friend enjoying a scrumptious meal by the beach. Not just that, she even tagged her other friends in the picture and asked if they are tempted enough to drop their work and join them. Jennifer was last seen in Bepannaah along with Harshad Chopra. In fact, people really appreciated her chemistry with Harshad. The show went off-air and talking about it she said, “The show ended in seven months and I think we could have given it a better ending, as I felt it was a bit abrupt.” Now, people are eagerly waiting for Jennifer’s new project. The actor also received praises for her performance in shows like Kasautii Zindagii Kay, Dill Mill Gaye and Saraswatichandra. She played the role of an obsessive lover in Beyhadh and was liked by everybody. Jennifer had started her career at the age of 12 as a child actor in the film Raja Ko Rani Se Pyar Ho Gaya, and then appeared as a child actor in the Kuch Naa Kaho at the age of 14. She also won the Indian Television Academy Awards for Best Actress Critics for her role in Saraswatichandra.